Discussion in 'Latest Chapter Discussion' started by Shield Loyalist, Jul 4, 2018. I think Narrative grade means mythological figures while the lower tiered are historical figures. Eden is Christianity (or Judaism) as you can see from the presence of Jesus Christ (the story they were going to offer to Dokja) and other angels. From Google-sensei, nebula is the remains of a dying star where new stars will be formed. Fitting, because it basically is a cluster of different constellations forming a group/mythology in the novel. There's been some talk and discussions in the Qidian comment sections which argued about the KDJ and YJH's heights are. 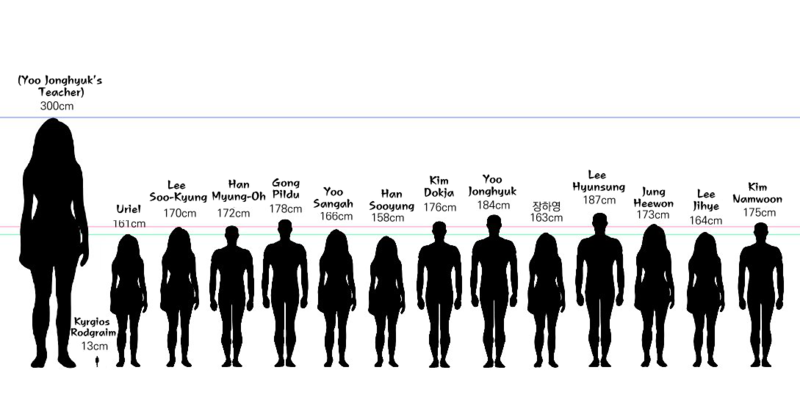 So...When I searched in a number of Korean sites, I found the official List of Heights of the characters. I know, this is kind of random. But....I kind of thought that since I shared this in Qidian, why shouldn't I share it here to clear about the height issue if they are wondering? That said, among the characters, there's one name I can't put a proper translation on. So, I hope you could also help me in identifying who it is. Bobby24 and Lonelycity like this. 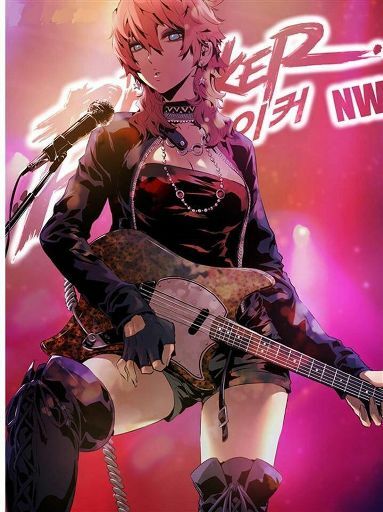 The judge/justice girl. Uriel's incarnation. Poor uriel, her incarnation always needs saving. 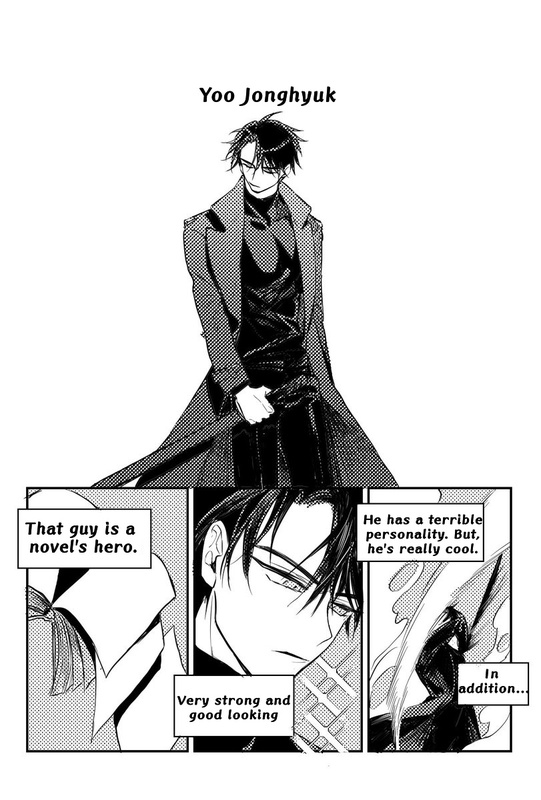 A 4 page illustration of ORV featuring KDJ and YJH. That said, among the characters, there's one name I can't put a proper translation on. Not sure if Uriel hates heterosexual relationship, or if she wants Lee Hyunsung to be in a BoyxBoy relationship, or if she wants Jung Heewon to be in a GirlxGirl relationship. saekicchi, Rainingmoon, Shield Loyalist and 1 other person like this. Now I'm wondering on who's Kim Dokja's Love? Shield Loyalist and Lonelycity like this. an incarnation can feel their sponsors in their mind/soul or whatever except the regressor as mentioned in the novel the reggressor never knew who his sponsor is but other incarnations know which sponsor they chose. Since a mortal is weak and fragile they can't withstand the real image and voice of the sponsor, so sponsor uses an avatar. Weak sponsors can't chose their avatars, while constellations that are part of nebulae and that of narrative grade can chose freely. The korean constellations are weak constellations and weak constellations avatars are based on the medium they known the most, such as coins, and bills. While the 1st sword, uriel, sun wukong, secretive plotter and others are of narrative so they can choose their avatars. Since, dokja is a weak constellation that doesn't even have a stigma, he can't chose his avatar, and since his trait/skill is called the last reader and omniscient readers viewpoint and the book ways of survival is the most precious to him and the only thing he has it became his avatar. Since, monster flood girl is his incarnation she can see what avatar dokja has. While they were doing something stupid Dokja was killed by an assuming mother. Rainingmoon and Greater thunder like this.